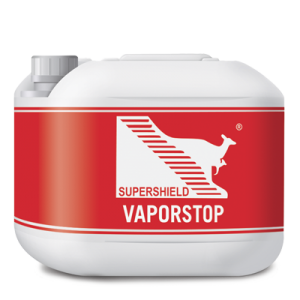 Supershield Crystalspray is a liquid, one-component, water based, crystalline waterproofer spray applied to restore concrete damp or wet, even in presence of high hydrostatric pressure. In a few days concrete will dry up thanks to the hygroscopic crystals developed by the product in the pores and capillaries of the concrete mass. 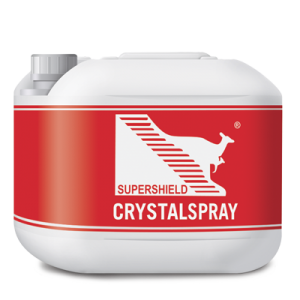 Crystalspray penetrates deep in the mass of concrete (up to 50 cm. and more in presence of water) and remains active in time and will seal cracks up to 0,4 mm. even after years. 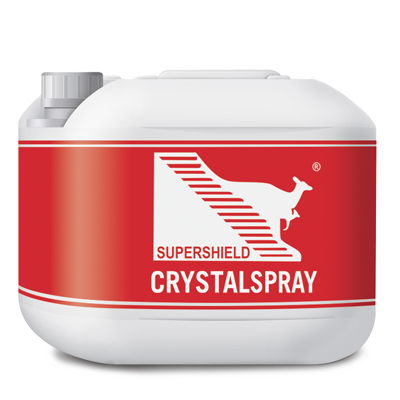 Crystalspray can be used as single application or in combination with Supershield Multiseal or Clearseal. 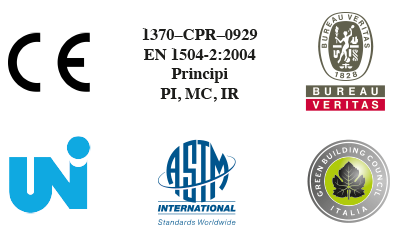 Use: for waterproofing structures where there is a strong hydrostatic pressure: pools, water tanks, water treatment plants,concrete pipes, reservoirs, tunnels, dams, bridges. CRYSTALSPRAY by SUPERSHIELD reduces the application time by about 80% and the labor cost of almost 90%, while ensuring better results than cementitious crystalline products.